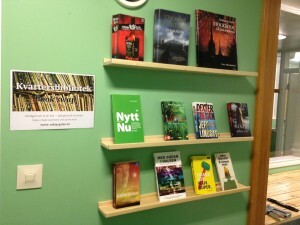 The idea behind the laundry room book swop is both simple and great at the same time. You get something to do instead of just waiting. Meanwhile you’re also making use of a book someone else already read. When you’re finished reading just return that book or a book you want to get rid of. It can be any kind of book. Paper back is just as welcome as hardcover. 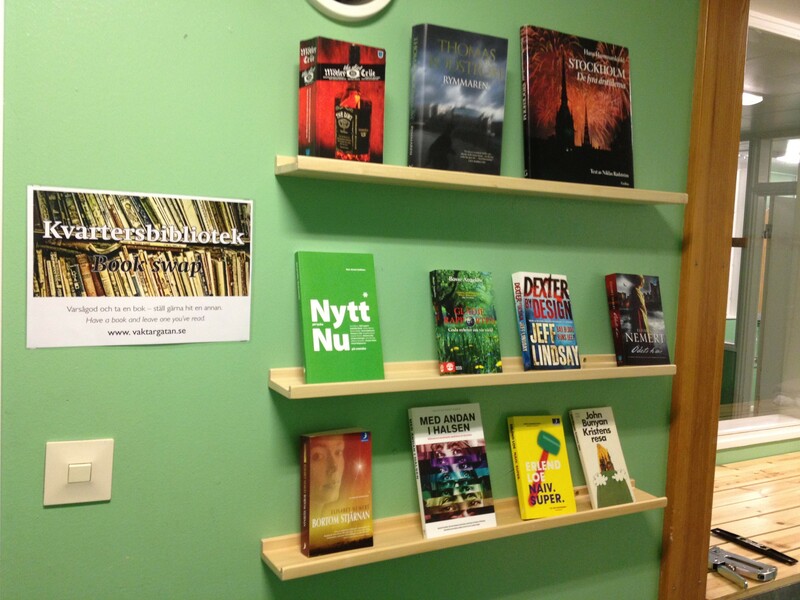 The book swop at Väktargatan 62 is the first one we’ve installed. If it seems to work out maybe we’ll put one up on the other half of Väktargatan as well.